Paul Rudd‘s latest war film titled The Catcher Was a Spy has been picked up by IFC Films following its premiere at the 2018 Sundance film festival, according to the Hollywood Reporter. The film stars Rudd as Moe Berg, who is a major league catcher who teams up with the original CIA, known as the Office of Strategic Services, in order to stop the famous German scientist Werner Heisenberg from building an atomic bomb for the Nazis. The young catcher was a genius, graduating from both Princeton and Columbia Law School and able to speak over six different languages. Set during World War 2, the film is directed by Ben Levin from an adaptation by Robert Rodat of the 1994 biography by Nicholas Dawidoff. Rudd leads a star-studded cast that also stars Mark Strong (Kingsman: The Golden Circle), Sienna Miller (American Sniper), Paul Giamatti (12 Years a Slave), Jeff Daniels (Dumb and Dumber), and Guy Pierce. 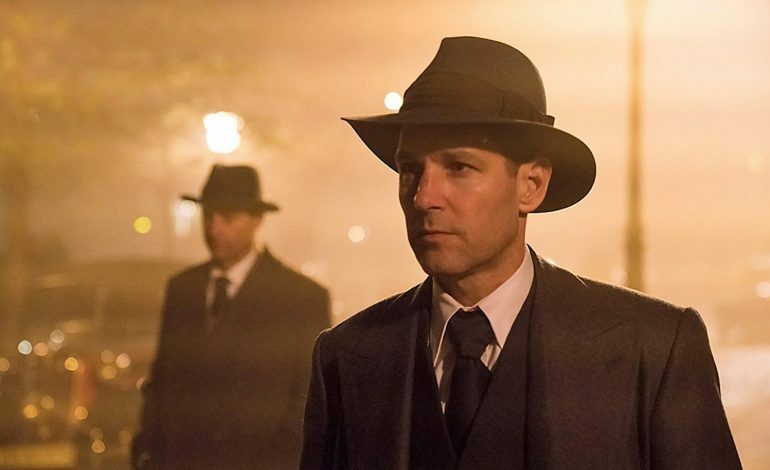 IFC films co-presidents, Jonathan Sehring and Lisa Schwartz, said that they are thrilled to be able to bring the true story to the United States with an exceptional cast and screenplay and were intrigued by Paul Rudd’s performance as the famed baseball player-turned-spy. The Catcher Was A Spy is scheduled to be released in theaters on June 22, 2018.